The Peoria City Council Tuesday took a first step toward historic designation for the old Chase Bank building. The block where the building sits had been in an urban industrial zone. That would have benefitted Caterpillar if it had built its new world headquarters there. 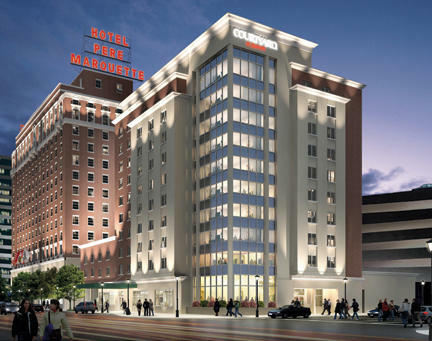 With OSF HealthCare buying the property for its new ministries headquarters, it needed historic tax credits to make renovation financially possible. 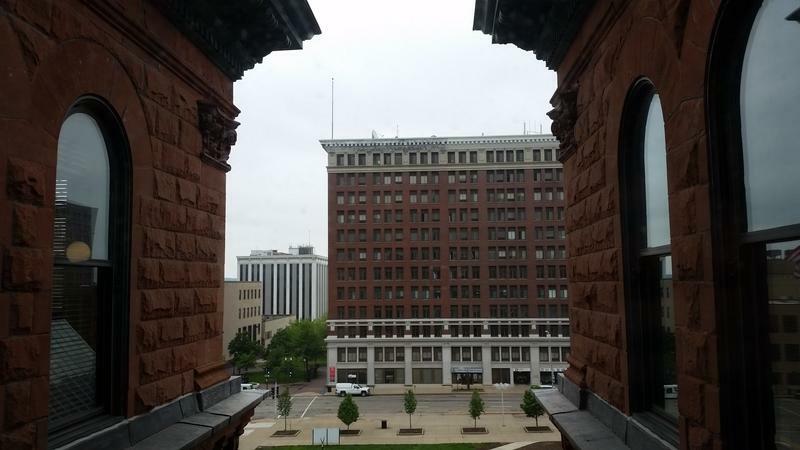 The city of Peoria faces a budget gap of about $5.5 million this year, a deficit that grows to nearly $8 million next year if no changes are made. 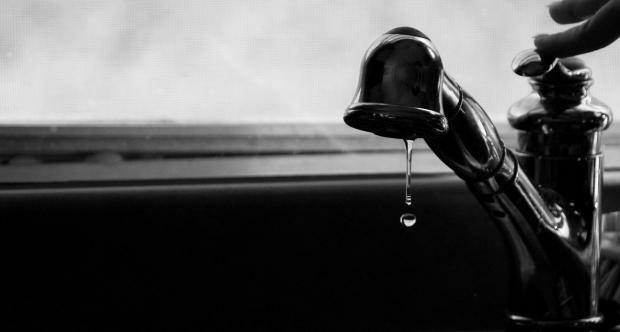 A new state law sets guidelines for the dissolution or consolidation of townships. 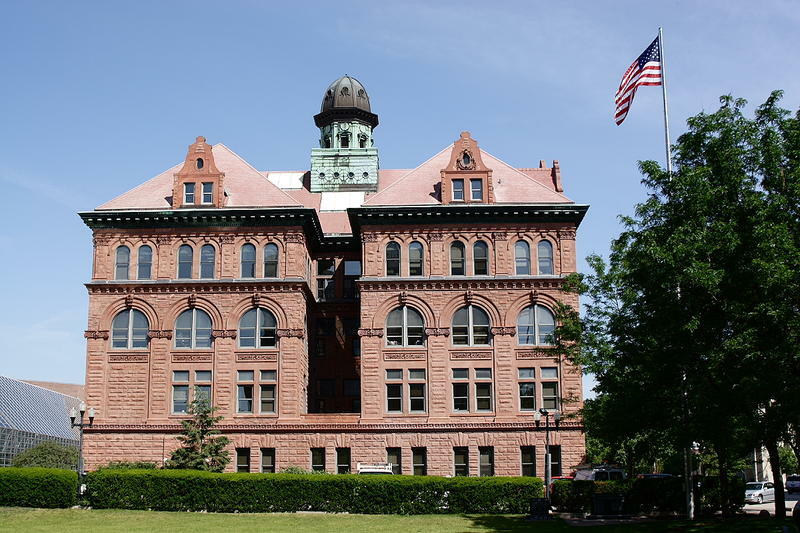 Peoria Township is entirely within the boundaries of the city of Peoria, and the city council sits as the township board of trustees. The Peoria City Council Tuesday is expected to set in motion a process whereby a Portillo’s Restaurant will open next year in the city. Developer Willie Torchia has acquired the land at Sterling Avenue and Baumann Way, in front of the Westlake Shopping Center. 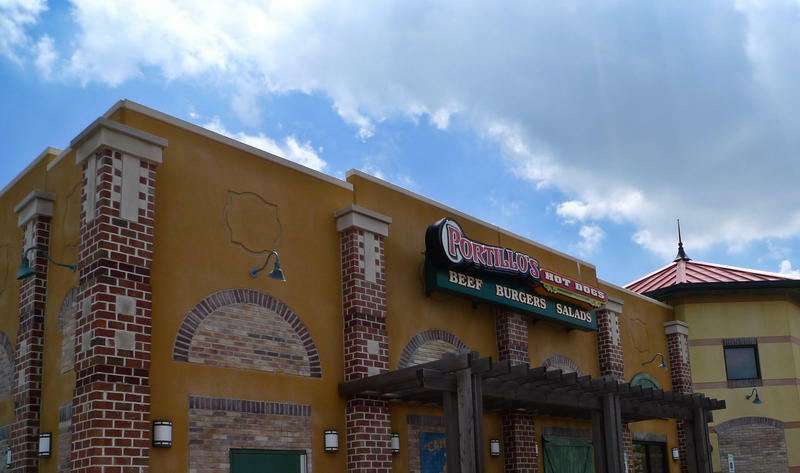 He will spend about 700-thousand dollars to prepare the site and construct a building to lease to Portillo’s. He is asking the city to create a Special Service Area tax, where Portillo’s will add one additional percent to the tax rate on their sales. That money will reimburse Torchia for development costs. 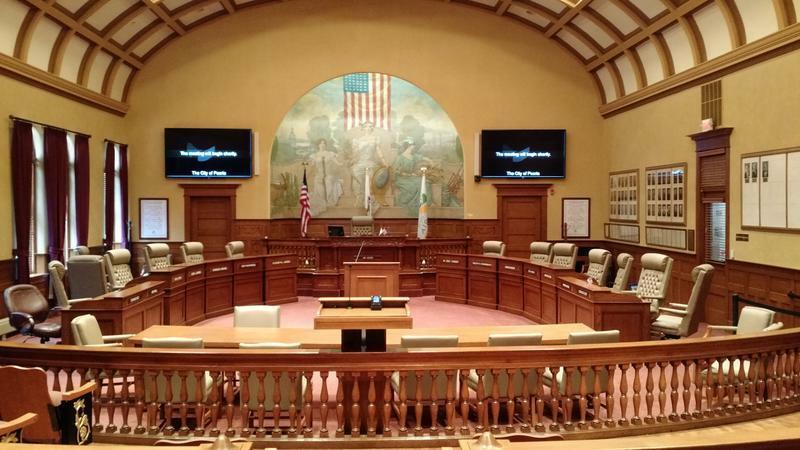 The city of Peoria faces a nearly $8 million dollar deficit in next year’s budget, a deficit that will grow to $11 million dollars by 2020 without corrective action. Peoria City Manager Patrick Urich reported to the city council Tues. that one of the primary reasons for the growing deficit is the mandatory contribution for pensions. "In 2012, were levying about $16-million for all of our retirement costs. In 2016, we were at $19.7 million," Urich said. Peoria’s Downtown Development Corporation is proposing the creation of a special service area. It would include the medical and warehouse districts plus downtown and the riverfront. Planned services are street and sidewalk clean-up, landscape maintenance, decorations, directories and a website. Funding would come from three sources, two of which are taxes. The City of Peoria faces significant challenges with operational expenses growing at four-to-eight percent. That’s coupled with no corresponding growth in revenues, which remain stagnant. Council members are meeting over a two-day period to determine the strategic direction for the city under those financial constraints. Mayor Jim Ardis says he believes that will not include any tax increases. Recently elected Peoria township and city officials were sworn into office Tuesday night at city hall. Several familiar faces including mayor Jim Ardis, city clerk Beth Ball, five returning council members and other officials took the oath. 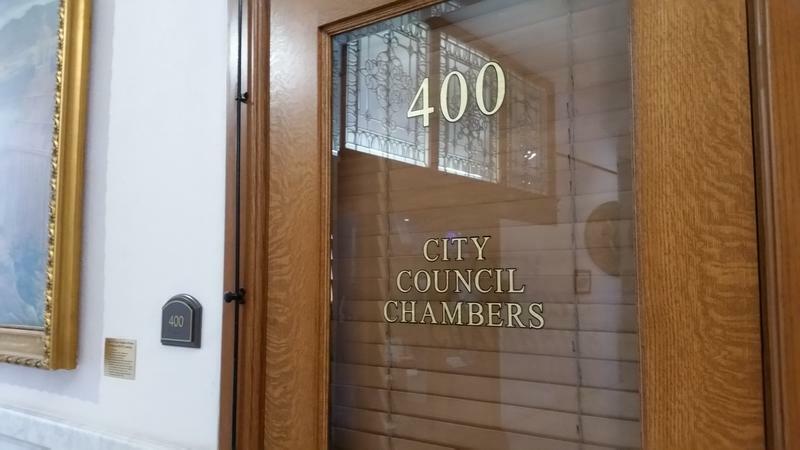 There are two new men on the city council. Zach Oyler is an at-large councilman and Denis Cyr, after winning the fifth district race by a single vote, now sits at the council horseshoe. 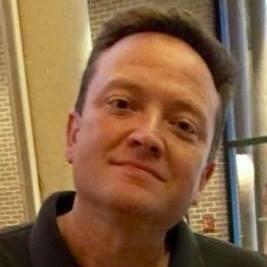 Denis Cyr is the declared winner of the 5th District Peoria City Council seat. The Peoria City Council unanimously approved expanding the boundaries of the Peoria Urban Enterprise Zone to encompass Northwoods Mall. As of Tues., the Peoria City Council now has a full complement of members. 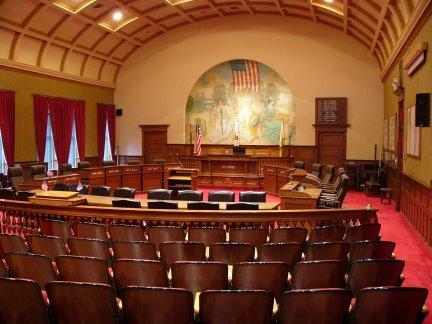 The Peoria City Council is looking to fill an at-large seat, at least for a little while. The resignation of At-Large Councilman Ryan Spain leaves a vacancy the council is looking to fill. The mayor’s office is accepting applications from those interested in serving on the council in an at-large capacity. Those interested in applying are asked to submit a cover letter, resume and any other supporting documentation to the mayor's assistant Brenda Hopwood. The final field of candidates is set for Peoria City municipal and township offices in the spring elections. 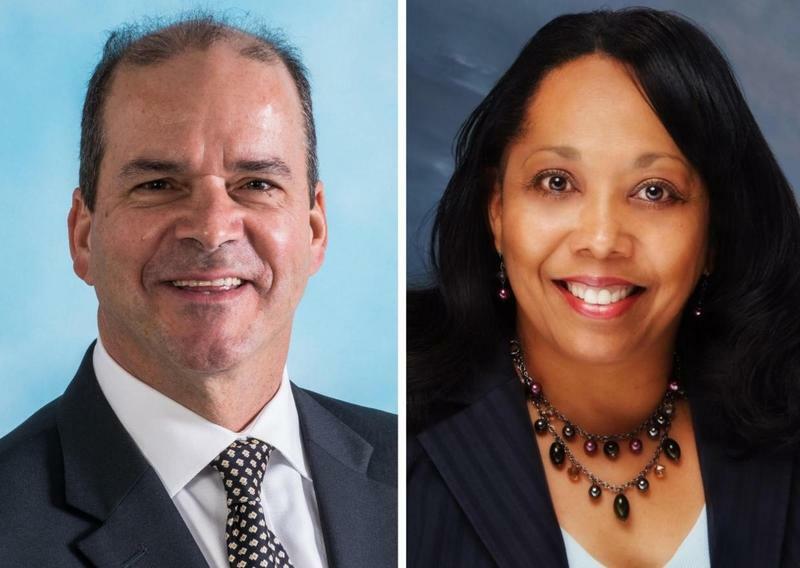 Mayor Jim Ardis is facing two challengers. Marie Kennell and Couri Thomas both filed candidate petitions Monday. 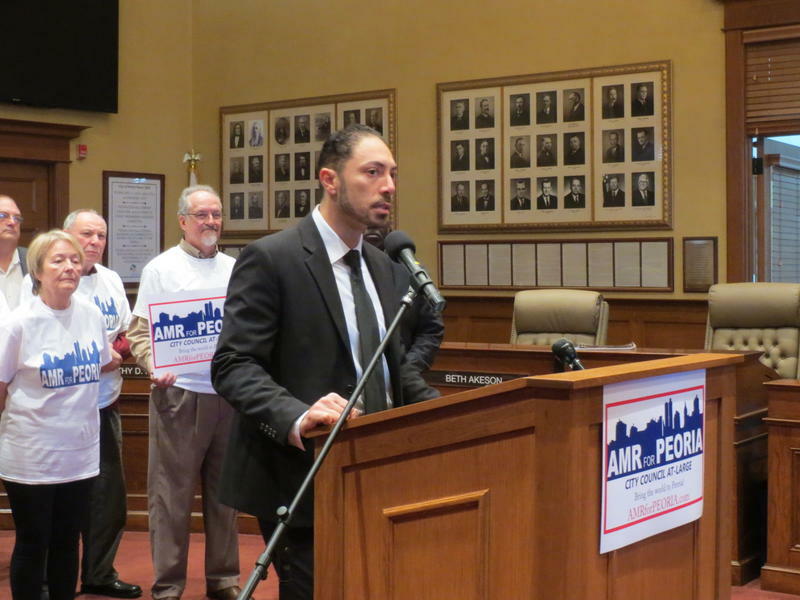 An Egyptian-born imam is running for the vacant Peoria City Council At-Large seat. 36-year-old Amr Elsamny works for several local nonprofits and advocacy groups, including the Peoria Community Against Violence and the Interfaith Alliance. Elsamny announced his candidacy at City Hall Mon., flanked by supporters from various faith groups, including St. Paul Baptist Church and the Universalist Unitarian Church. 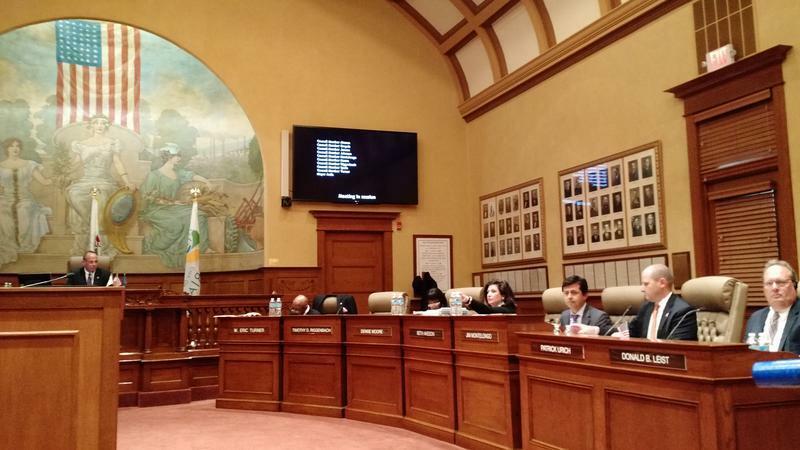 Approval of the City of Peoria budget hit a temporary road bump Tuesday night. 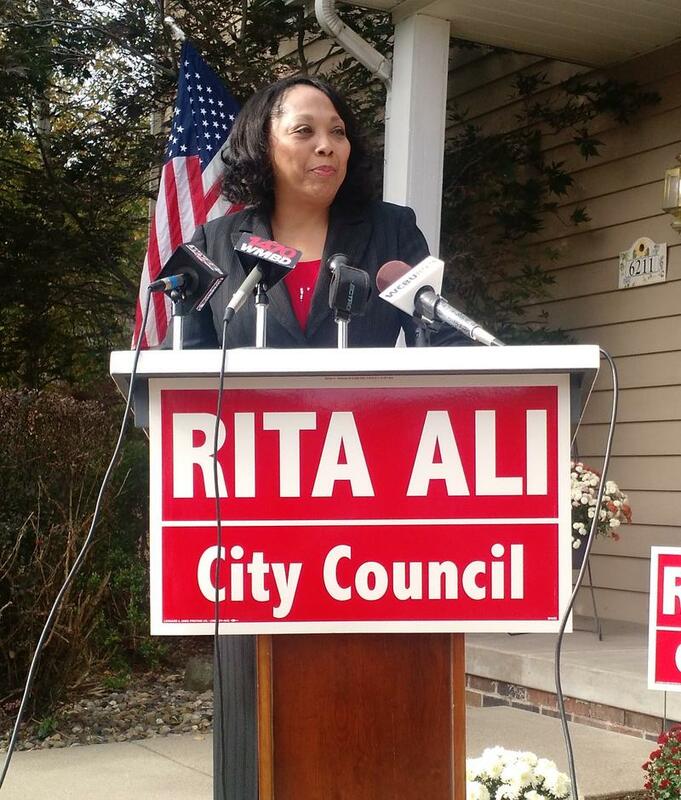 The Vice President of Diversity at ICC Rita Ali is running for the 5th District Peoria City Council Seat. Ali made the announcement at her home in North Peoria where most of the homes in her subdivision featured one of her Red and White Ali yard signs. The Peoria City Council got its first look Tuesday at proposed changes in road standards for new subdivisions. The City of Peoria has an answer to a question that seems like a no-brainer. 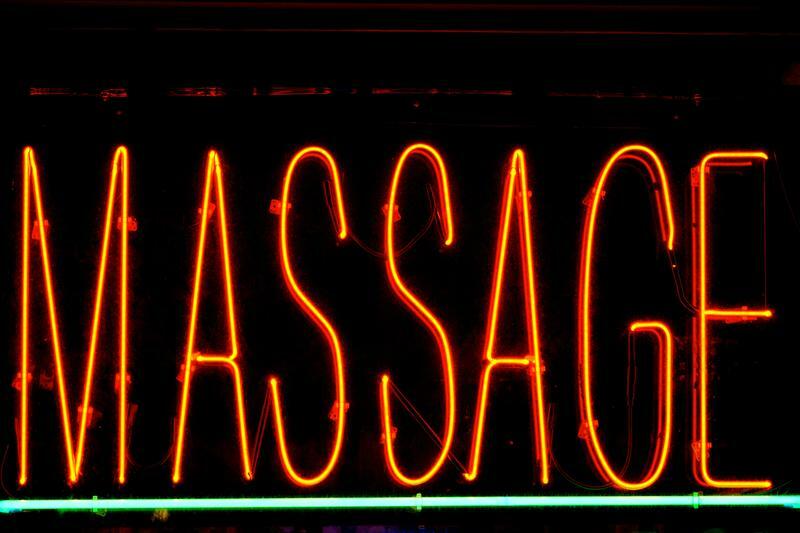 A recently issued court order adds language to a 1988 Court Decree. Peoria Public Radio’s Tanya Koonce reports it specifies voters get the same number of votes as there are at-large seats up for election. 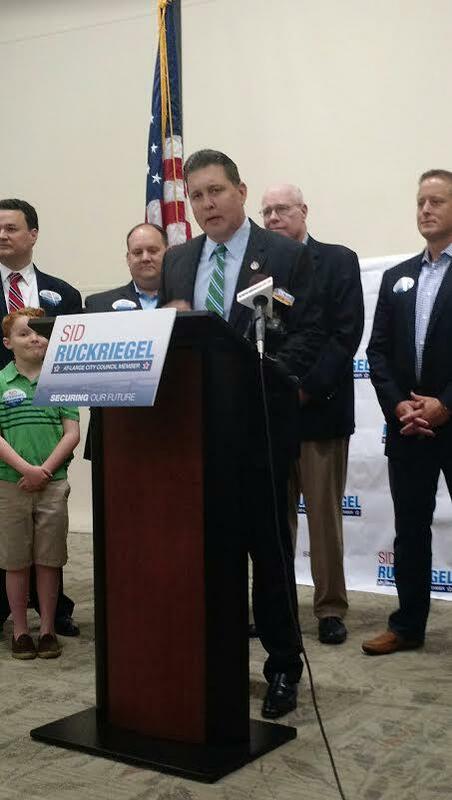 At-Large Peoria City Councilman Sid Ruckriegel announced Thursday he is running to retain the seat he was appointed to last November. Peoria City Council looked at several ways to make neighborhoods more cohesive Tuesday night. One recommended change in land development codes would put properties into "unified" zones. 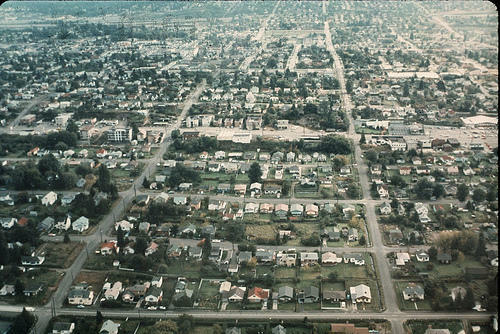 Under typical zoning, residential, office and commercial properties are in separate zones. But Community Development Director Ross Black says a new unified development code would give the city more flexibility.